At Carolina Coatings & Tile, Inc., we specialize in custom residential concrete flooring installation, concrete flooring coatings, and more. We have served countless customers throughout North Carolina, South Carolina, & Virginia, and we’d love nothing more than for you to be our next satisfied customer. 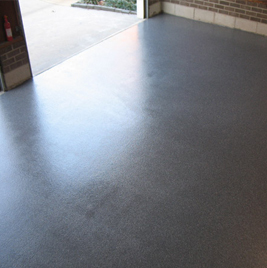 To learn more about our many concrete coating and concrete flooring applications, please contact Carolina Coating & Tile, Inc. today! Call (919) 795-3597 to schedule your onsite estimate!